Posted by Argos. August 26th 2014. When deciding whether or not to get a pet, one of the main contributing factors in the decision making process is the cost of vet bills. Pet owners are no strangers to the concept of falling in love with their beloved companion and this means they can experience great pain and anguish if they are unable to afford the medical care their pets require. For this reason, pet insurance is becoming far more important. Today’s pet owners recognise that there are numerous threats which their animals can face and by investing in suitable cover they are ensuring their pets always get the best possible care and are not left to needlessly suffer because of their owner’s financial constraints. 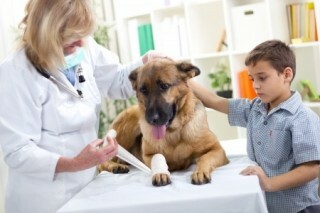 Here we look at why pet insurance is important in more detail. With new technology in the veterinarian world and the ability for vets to use MRI scans along with the increased cost of advanced medication, vet bills are becoming more and more expensive. One of the most heart-breaking situations that will ever be faced by a pet owner is the prospect of not being able to afford treatment that could potentially save their pet’s life. 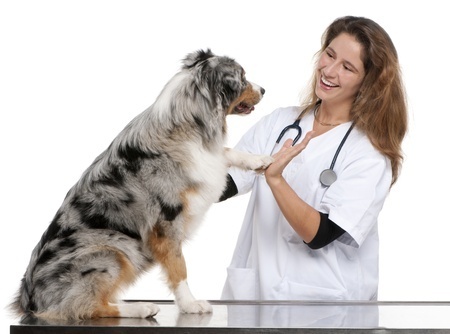 Pet insurance enables owners to keep their pets healthy and their wallets happy. By paying money to a pet insurer you can help yourself relax by knowing that if your pet became ill or injured you’d be able to afford the treatment or medical care they need. Pet insurance will undoubtedly provide you with the peace of mind you need to enjoy the companionship of your pet without the stresses of an impending accident. Many people find the idea of monthly pay-outs far more manageable than the one lump sum presented in a vet bill. Knowing the money that will have to go out enables you to budget your earnings and keep your pet safe at the same time. 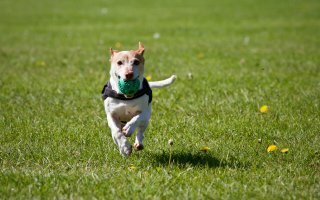 Whilst saving is a common option, you may always run the risk that what you’ve saved might not be quite enough for your pets vet bill as one costly accident could really set you back. If you’re forgetful, or particularly poor at money management, pet insurance could be your saving grace. Paying monthly money will ensure you don’t tap into your pets ‘savings’ whilst the reassurance of cover means that should an accident occur at a particularly poor time for you, you don’t have to choose between your living expenses and your pet. Pet insurance can help you prepare for any situation. Accidents can happen at any time and as a pet owner with insurance you can rest assured that you will be covered for most incidents – helping to prepare you and your loving pet for the unexpected and ensure a long and happy life. Putting your valued money into pet insurance is one of the best things you can do for your pet. You can ensure their safety, safeguard your financial stability and prevent those surprise bills; what more could you want from your hard-earned money?